Do you believe that travel makes your life richer and inspires your creativity? Well, I certainly do and today, I’m going to tell my travel story. I think that if you take every opportunity to explore as far and as often as your time and money allow, you will truly improve your life. 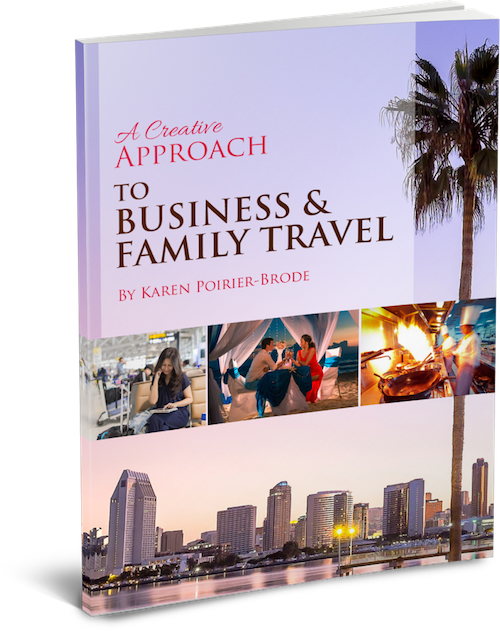 Please visit the Facebook page of A Creative Approach Podcast and the Patreon page on the Podcast website, www.acreativeapproachpodcast.com to access the photos. Listen in now, to hear the first part of my story. My trip started in San Francisco, with a talk by Neil deGrasse Tyson, the host of Star Talk Radio, at the elegant Davies Symphony Hall, where he spoke about his latest book, Astro Physics For People In A Hurry. Science really can be a lot of fun! We spent a night at the legendary Mark Hopkins Hotel, at the top of Nob Hill. The charming little touches of old time elegance are so unlike the stark finishes of contemporary hotels. Off to Chinatown to explore and have lunch the next day. It’s always so bustling and colorful! After an overnight flight with United, we landed in London and took an Uber to The Houston Hilton, which is just across from the British Medical Association and the Greek Revival style St Pancras Church. The excursion began with London in mind, because of the celebration of the centenary of The Medical Women’s Federation of England. As a member of the Medical Women International Association, I wanted to celebrate with my physician sisterhood. The first event of the conference that I attended, was a reception at an office building that incorporates the former Elizabeth Garrett Anderson Hospital. The historic sites of the Royal College of Medicine and The Royal College of Surgeons also served as meeting venues. Go to karenscorneroftheweb.blogspot.com to see the photos of these buildings. The Hunterian Museum, at the Royal College of Surgeons, features collections of anatomical and pathological specimens of humans and animals, as well as models, instruments, and art of surgery, from the 1800’s to the present. We attended an evening of lectures at the Royal College Of Medicine, where Princess Anne was a speaker and she discussed her work with Save The Children. The female guests at the conference were invited by Baronness Von ?? ?, a physician and peer in government, to attend a banquet at The House Of Lords for a celebration of the Medical Women’s Federation’s Centennial. Princess Sophie, the Duchess of Gloucester attended the dinner, as she is Patroness of the Medical Women’s Federation. The London Eye is opposite The House Of Lords. The Medical Women’s Federation arranged a private boat tour, for the attendees to travel from London to Greenwich, on the Thames. It was a delight for us to stop at the historic Trafalgar Tavern. I was treated to The London Eye, for Mother’s Day. It’s a tourist attraction that I unequivocally recommend! We became acquainted with the National Health Service, due to a minor health emergency. Cal became curious about a bar, which was in a yarn shop, so the proprietress informed him, of course, there was a wide selection of beverages, as many ladies came to her boutique for knitting groups! We dined at La Barca, an Italian Restaurant which became our favorite restaurant of our entire vacation. Are you someone who really likes to tell stories? Are you analytical and would you like to leave a legacy and your history behind one day? If so, you’re going to love today’s show, with Debbie Hodge. Debbie is a really steadfast pal to Karen and she’s also Karen’s boss in her Scrapbook work. Karen contributes to Debbie’s site, Get It Scrapped, although she actually reports there to her assistant and team mate, Amy Kingsford. The focus of Get It Scrapped is on teaching both Layout Design and Storytelling on the Scrapbook Page, which is done either visually, or with words. Listen in to find out more about Debbie and the really inspiring work that she does. Karen is really excited to have Debbie on the show today, as they really go back quite a way. She’s fun to tease, laughs often and really values her family. Her scrapbook pages really are a true reflection of her life as a wife, mother, daughter and extended family member. She is also a superlative teacher, with a real ability to analyze and summarize a topic and then present it in such a way that it really switches all your lights on! Debbie leads a number of people to successful online teaching, through her other online class site, Teach What You Do. 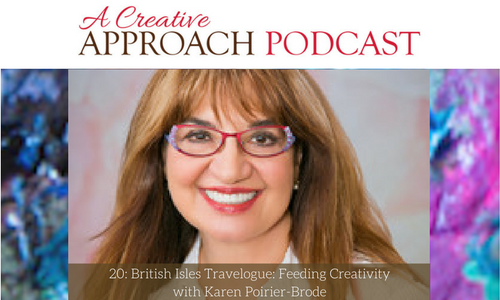 Listen in now, as we share Debbie Hodge and her creative approach. Debbie gives a rundown on the things that she’s doing right now and what’s happening with Getting It Scrapped. What you will find on Debbie’s Get It Scrapped Face book Group, which was set up at the end of last year. Debbie’s free Webinars, of crops, where you can Scrapbook at home and either share it or just watch people Scrapbooking online. A great way to get to know people! How do you find your tribe? Debbie ends up hanging around with the people who come to her crops. Debbie discusses the things that are taught on her online class site, Teach What You Do. What prompted Debbie to create Teach What You Do.com. Debbie’s collaboration with Amy Kingsford, which has really been good for her in many ways. How Chat Box has really helped Debbie with what she does. She’s always trying the newest marketing techniques at Get It Scrapped and then teaching them at Teach What You Do. Debbie chats about her Podcasts, which you can find at getitscrapped.com. She really loves storytelling and wanted to do something different. Debbie, who has an M.B.A. talks about her background in writing and tech. 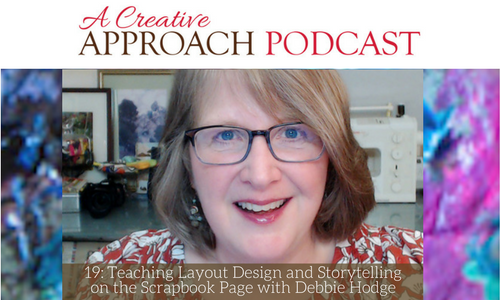 Debbie explains where she comes from, with her really creative Mom, and how she came to be where she finds herself today, with Scrapbooking and Online Teaching. Debbie’s current passion- teaching people how to teach artistic and creative processes. Debbie shares her thoughts about creativity. Debbie really encourages you to create something and find a community to share what you’ve made.